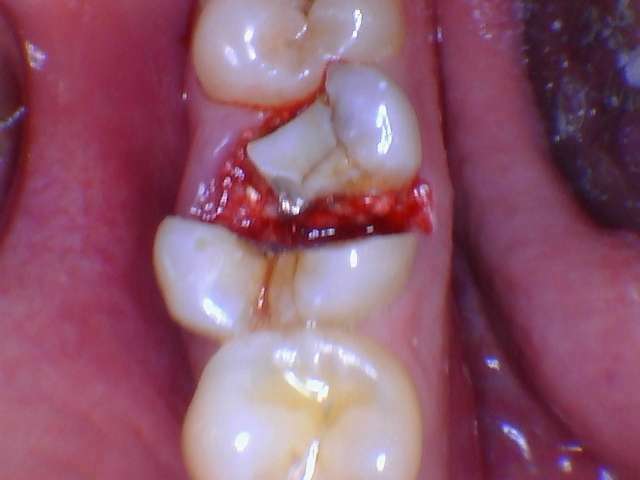 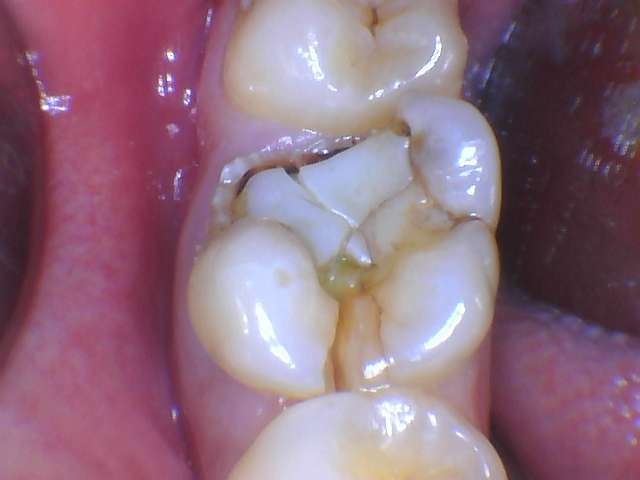 Patient visits us with a fractured molar tooth.He gives a history of Root Canal treatment done. 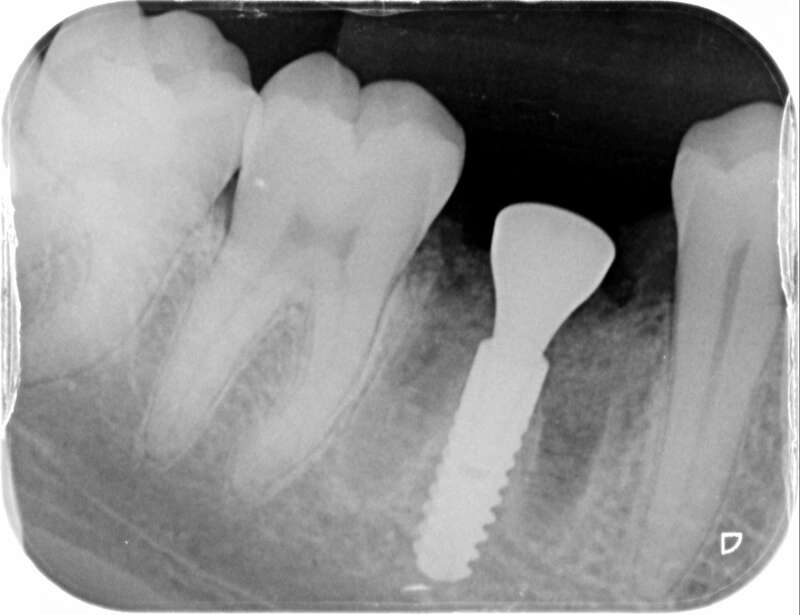 An Implant was done in fresh socket immediately after extraction of a failing Molar. 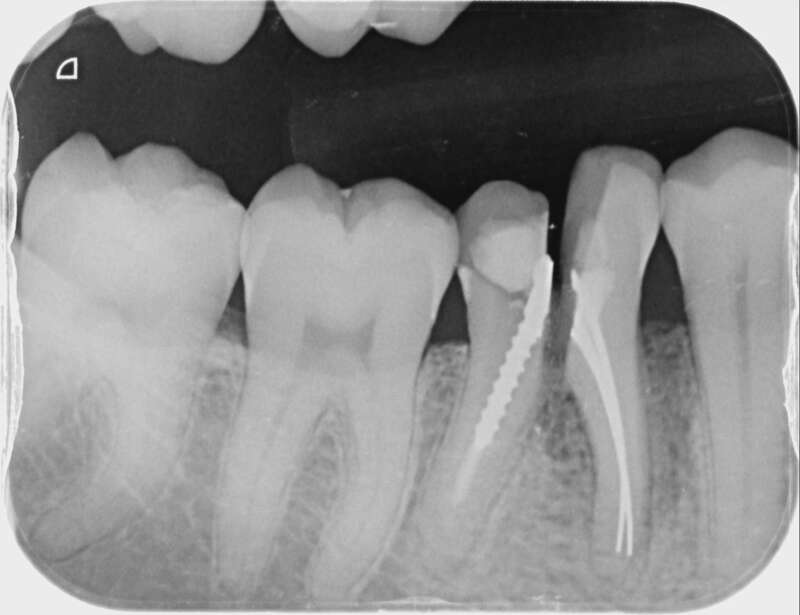 Care was exercised in placing the Implant in available bone in Furcation region of the molar. 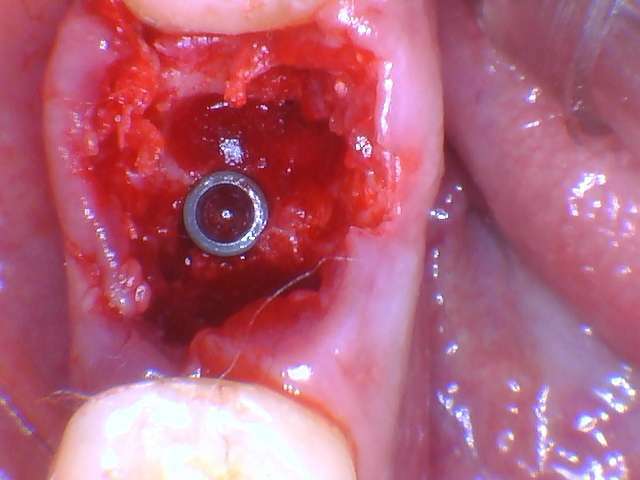 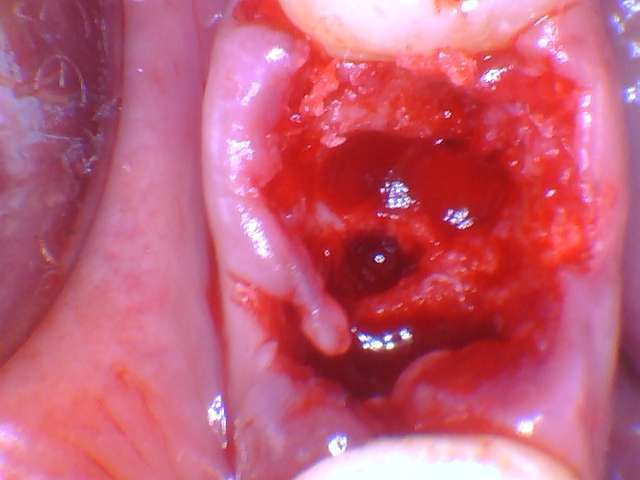 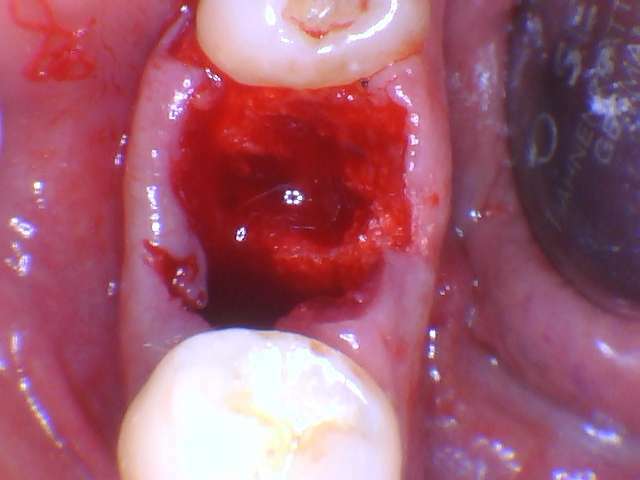 A healing abutment was also put so as to avoid second stage surgery. 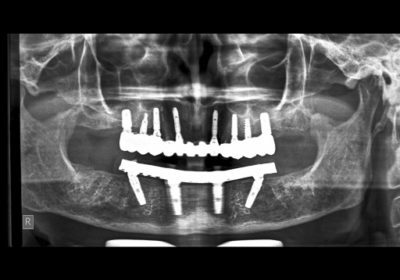 Bone augmentation was performed to aid in bone formation. 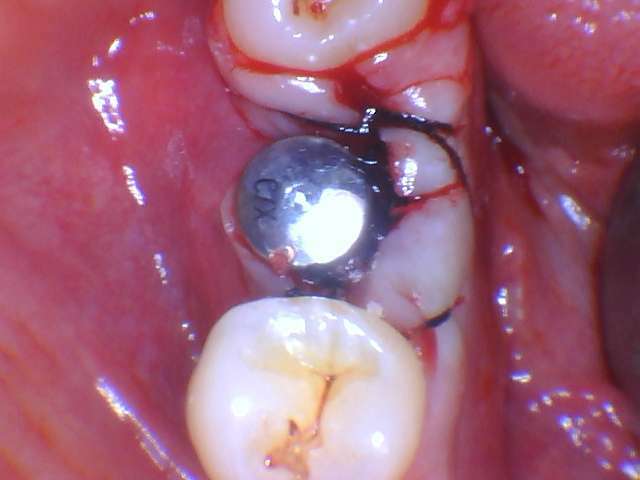 The advantage of this carefully executed surgery was that extraction and implantation was done at the same time. 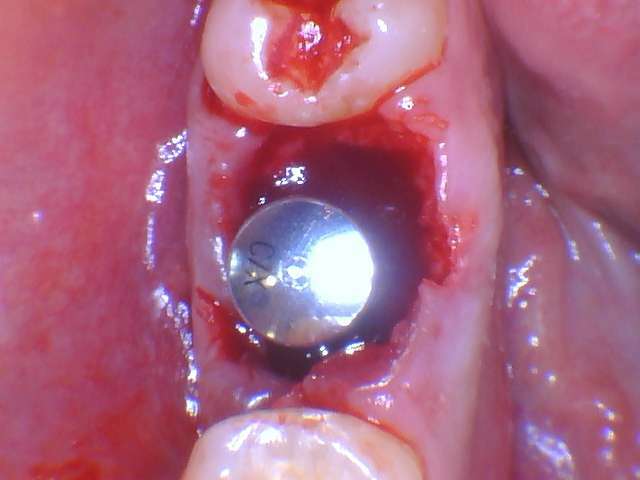 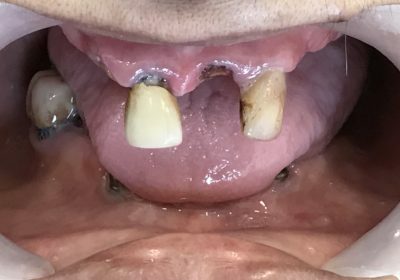 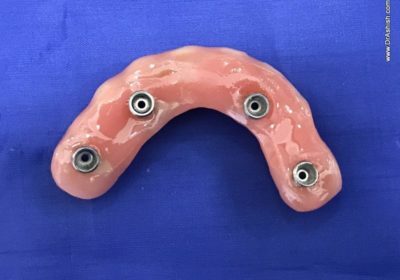 This saves a lot of time for the patient;as in normal cases they have to wait for at least 2-3 months before placing an Implant.